Drugs and music concerts have gone hand-in-hand for decades. Whether we’re talking about the infamous LSD-infused Woodstock of the 1960s, rap concerts that celebrate and glorify smoking cannabis, the rise in popularity of Ecstasy at raves and electronic music clubs, or the general booze parties that characterize most rock n’ roll events, it goes without saying that if you attend a music festival you will run into substance use. The prevalence of drugs at these festivals and events seems to be on the rise, due to the rising number of such music concerts as well as the liberal opinions on drug use nationwide. If you’re in recovery, the last thing you want to do is surround yourself with hordes of people gloriously indulging in substances that you have sworn off to protect your own health and sobriety. Does that mean you can’t enjoy a good musical performance? Of course not. The major factor in widespread drug use at most music festivals is that it’s completely socially acceptable and even encouraged in these crowds. Peer pressure has been a term in drug addiction education for years for good reason. What is expected of us by our peers has a big effect on our actions as human beings, and the larger the crowd the more the “mob mentality” takes over. 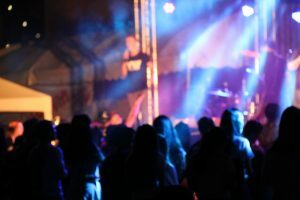 People are motivated to have a good time at these events, and sometimes it seems like those around us are having such a great time because of the illicit substances they’re pumping into their bodies. However, if you plan ahead and attend the event with sober friends, you can all stick together in your sobriety. Having someone go to a concert with you that will keep an eye out for any triggers or temptations will put your mind at ease and allow you to relax into having fun and enjoying the show without worrying that you’ll succumb to your baser desires. Not everyone is into drugs, although popular media might have you believe otherwise. Attend these events with friends and allies who have your back and you’ll all have a great time together. The type of event you attend says a lot about the temptations that might present themselves to you. A hidden rave in someone’s barn will likely have zero supervision or law enforcement and rampant drug use, depending on the crowd in attendance. On the other hand, an event held at a major public facility with police and security personnel on hand will have less of this out in the open. Likewise, the artist or band you’re going to see will draw a certain type of audience. If you’re looking to avoid the heavy substance crowd, beware of which artist you go to see. 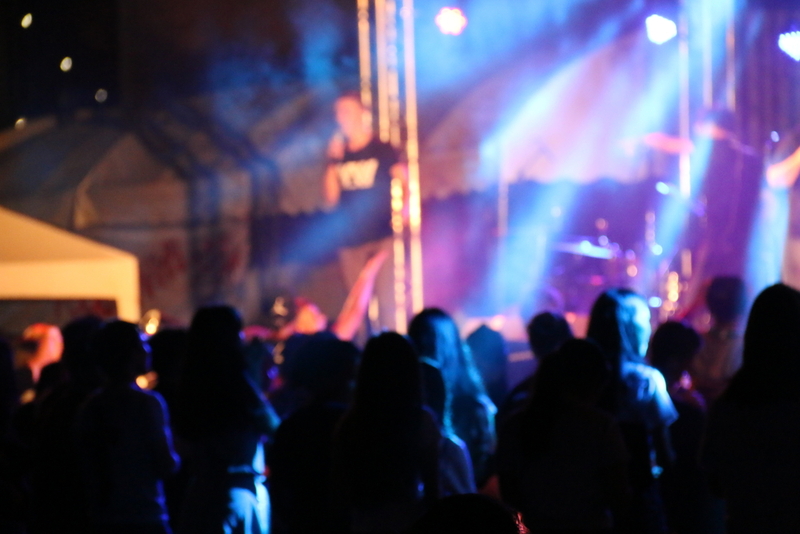 You can make smart choices when it comes to attending these party-like music events. Avoid the drug crowd, sit far from the bar, and go with friends who will have fun with you without indulging in drugs or alcohol. Who says concerts are controlled by substance users? Make wise choices and have a great time. For information on maintaining sobriety during addiction recovery, contact Hired Power to learn about your resource options at 800-910-9299.